International recording artist and performer, saxophonist Andrew Young performs some of the best known, classic songs of all time from his new album, Diamonds, at the Rhumbelow Theatre. His soulful rendition of Cavatina, elicits a wave of emotion from even the most stoic listener. 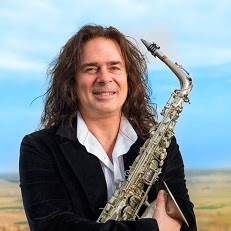 One simply has to listen to the hauntingly beautiful Summertime or Somewhere Over the Rainbow to realize that you are listening to one of the most complete saxophonists of today. “Like old friends these melodies have continued to accompany and inspire me throughout my touring career and travels, both home and abroad. Every one of these songs on the album has been, and still is, so very special to me. Each song a classic, each song a Diamond!” says Young who will be accompanied by Paul Williams, one of Durban’s best loved pianist/keyboardists. Performances take place at Rhumbelow Durban on March 7, 8 and 9 at 19h30. (Venue opens 90 minutes before show for picnic dinner). Tickets R150 (R130 pensioners). Bring food picnic baskets (braais will be available for those who wish to cook some meat). Bar available (no alcohol may be brought on to the premises). There is limited secure parking. Booking is essential through Computicket or Roland on 082 499 8636 or email: roland@stansell.za.net or events.durbantheatre.com Contact Roland for large group booking discounts – 20 or more.